The UK's entertainment barometer for Q2 2018. The latest data on the physical entertainment market from Kantar Worldpanel, published today for the 12 weeks to 1 July 2018, shows a return to growth for mint games, supported by the quarter’s biggest release – God of War. 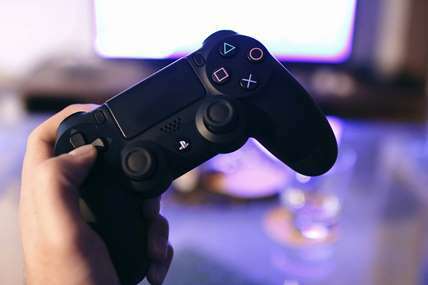 The figures also bring positive news for HMV and GAME as both retailers gained share of physical entertainment sales, despite the overall market declining by 11% compared to this time last year. Elsewhere in gaming, the Nintendo Switch claimed 22% of spend in new generation console software. This is an all-time high coming at the expense of rival Xbox software systems which secured 20.9% of the market this quarter. The PS4 and PS4 Pro remain in pole position, capturing 57.1% of all new generation software sales. Music buyers on average spent almost £4 more at HMV than the same period last year, helping the retailer to increase its share of physical music sales by 3 percentage points to 22.8%. Driving this growth were big new releases including Resistance Is Futile by the Manic Street Preachers, The Greatest Showman film soundtrack and Tranquillity Based Hotel + Casino by the Arctic Monkeys. In contrast, Amazon customers spent nearly £1 less on music and added fewer titles to their basket when visiting the site, compared with last year. A drop in impulse buying played a large role in an overall decline in physical music sales of 5.8%. Giulia Barresi explains: "Many retailers are reducing their floorspace and this can mean shoppers are given fewer opportunities to make spur of the moment purchases, such as at the till. This trend is the same across physical music and video, with declining impulse purchases amounting to a fall in category sales of £7 million and £16 million respectively compared with last year. As high street stores change their look and feel in response to pressures from their online rivals, retailers need to ensure they are maintaining and creating environments that support spontaneous purchase if they are to turn the table on falling sales." It was a positive quarter for digital video, fuelled by sales of on-demand films increasing 28.1% last year. The Greatest Showman was the biggest release of the period with 1.6 million shoppers buying the film across physical and digital formats – including 560,000 electronic downloads, the most of any film to date. The number of people using music streaming services continues to rise, reflected in the increase in providers entering the market. Giulia Barresi explains: “Consumers have more choice than ever when it comes to where they stream entertainment online, which means services need to do more to attract users. Amazon is doing this well – its offer of free music with Prime delivery has helped the platform double its number of active users since last year, surpassing Apple Music subscriber figures for the first time." Netflix hit the headlines this quarter for falling short of its new subscriber target globally, but Great Britain remains a strong market for the streaming giant. More than one in five Brits actively streamed from a Netflix account in the four weeks to 1 July, while 11.5% of the population used its closest rival, Amazon Prime Video.